The aim of a scholarship is to basically provide an opportunity for a world class education to students who are academically brilliant and deserving but do not have the financial means to pursue a good education. The Noida International University acknowledges the potential in today’s youth and is fully conscious of its social and welfare responsibilities as an institution of excellence dedicated to higher learning. With this in view and in order to attract talented and progressive minds, the University offers generous scholarships to meritorious students. It believes in honing the skills of brilliant minds in order to help develop capable leaders for organizations, communities and societies at large. Through its scholarships, NIU strives to provide access to an environment conducive to great academic achievement and also to the overall development of one’s personality. The hard work and academic excellence achieved by meritorious students is duly rewarded at NIU in the form of scholarships. The University works with a vision which envisages more opportunities for students who are truly deserving but do not have the financial means to channelize their potential. The larger aim is to provide good educational opportunities to as many individuals as possible. The endeavor is to slowly lead our country towards complete literacy, and also have more contributing members of society. The scholarship recipients apart from getting valuable financial support also learn the importance of philanthropy and giving back to society. 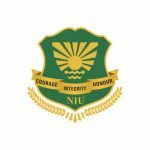 Moreover, realizing the significant role women play in society and the growing need to provide them a sound education, NIU has launched a special scholarship scheme for women. The aim is to empower women such that they slowly become the backbone of society, moving forward hand in hand with men, thereby leading to symbiotic relationships. In case of any further information required, one may call at 0120-4862200. Scholarships are not applicable for those opting for diploma courses. Son/Daughter or Grandson/Granddaughter of Freedom Fighters-20% concession in Tuition Fee. Son/Daughter of Armed/Para-Military Forces /State Police-20% concession in Tuition Fee. Students having more than 50% Physical Disabilities -20% concession in Tuition Fee for full course. Son/Daughter/Spouse of University Employee-20% concession in Tuition Fee, till the staff is in service for 1st year only. Staff Pursuing higher studies-25% concession in Tuition Fee, till the staff is in service for 1st year only. Scholarship Schemes are not applicable for 1 year Diploma & Short term Programs and Research Programs. Scholarship is applicable only on Tuition Fees of First Year. Sibling Scholarship (for blood relations only)-25% concession in Tuition Fee (T & C apply) applicable only for one candidate..